A member of the buttercup family, anemone (Anemone pulsatilla) reaches five inches to a foot in height. Rather than petals, it possesses eight to ten bright sepals ranging from cream to lavender-red in color. The floral portions include numerous yellow stamens, which culminate in a conical, silky seed head. The leaves approximate those of parsley, but often include purple highlights. Anemone has a long history of medicinal application. Once widely associated with the treatment of leprosy, the plant is now used to help heal skin lesions on AIDS patients. The concoction consists of simmering the leaves in distilled water; the liquid by-product is strained into a glass container, to be applied twice daily in the form of a sponge bath. While in NewYork City to give a health lecture at a New Age expo, John Heinerman was approached by a man concerned about AIDS-related lesions that covered his body. After trying the anemone tea preparation, the AIDS patient reported that 75 percent of the sores were healed. Bradley, P.R. (Ed.). British Herbal Compendium. Volume I., London: British rbal Medicine Association, 1992. Heinerman, John. 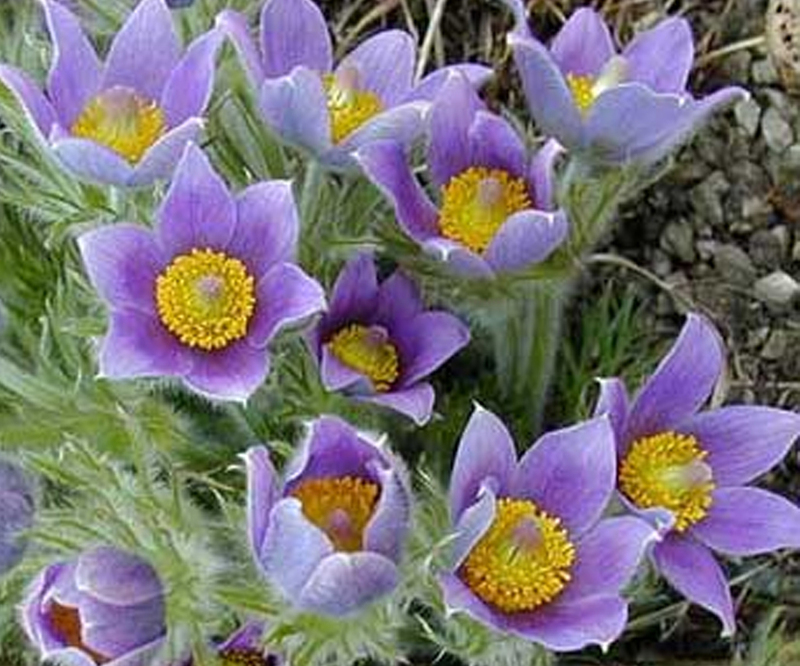 “Anemone (Anemone pulsatilla).” In: Heinerman’s Encyclopedia of Healing Herbs & Spices. Paramus, NJ: Prentice-Hall, 1996, pp. 15-16. Hoffmann, D. The New Holistic Herbal. Dorset, U.K.: Element, 1990. Mills, S. The Complete Guide to Modern Herbalism. London: Thorsons, 1994. Pulsatilla vulgaris var. gotlandica Johans.